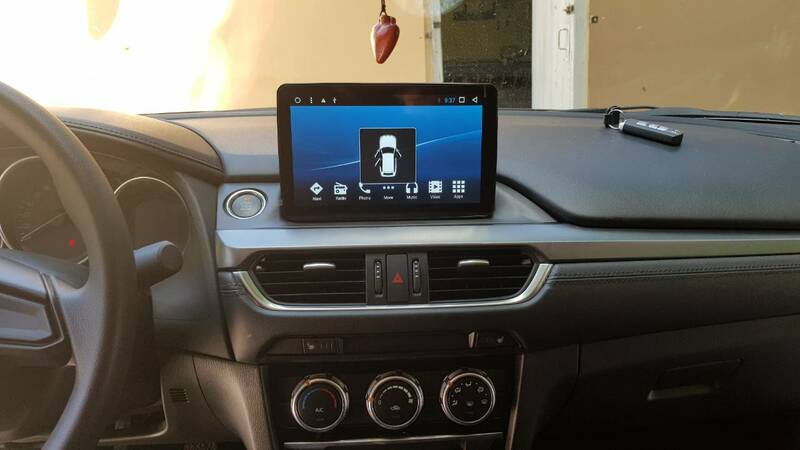 Mazda 6 Forums : Mazda 6 Forum / Mazda Atenza Forum > Technical / Performance / Model > Mazda 6 3rd Generation (2013-Present) > Electrical / HVAC > Smart Rover 9" Android Head Unit. Palenke are you running 6.0.1 on your HU and is everything working fine. Do you have any screenshots? I use version 7.1.2 and I have installed the Russian Redmod firmware. No saving it, after getting in taking and out the caps, it's actually the circuit board that fried in one spot which is in the Amplifier area, the Amplifier is built into the board itself, it's not separate. Was reading the thread from page 1. 1. There are lots of similar Chinese units. Smart Rover is what 90% got and is trusted. 6. The bluetooth is worse than stock HU but you can install the native apps e.g. spotify directly on the HU. 7. 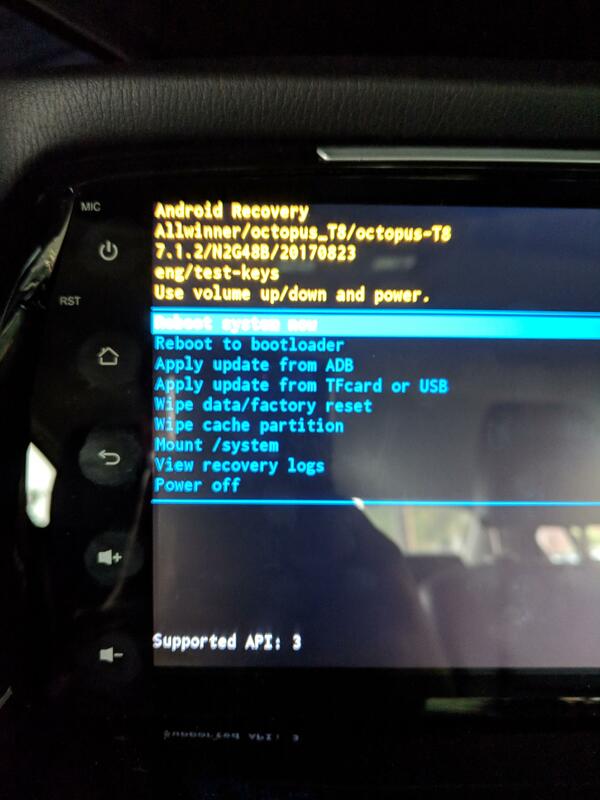 You can root the unit and apparently there is good support from xda as well. 8. Rear view camera looks stretched and pixelated. No one has yet replaced it with an aftermarket camera yet. 10. The default vehicle settings work. The unit comes with an app for that too. FWIW, I got carried away by the looks of it, both the 9" and 8" look super cool however I don't think I'll spend $400 on it. monito11 and kindacooldad like this. Pretty much correct on all your breakdowns, but I would still buy this again if I had to, luckily the seller repaired the radio for me took 4 weeks, had to send the radio back.. Commander Knob works only in a limited fashion for going back and forth in songs in apps like Spotify or up and down selections and pressing knob to select depending on apps. Curretly my radio is rooted with RedMod instead of the stock OS that came with the radio, app switching and running mutiple apps at the same is just faster. guy989 can I get your help. I've downloaded that file twice from ???????? ??? ???????????? MBR ????? ?, ?????? 4CORE. - ???????? ??? ???????????? ?? ????????? Allwinner R16, T3, T8. It comes in a .rar file which I extract to show a .img file. However, when I try to open the img file it says "unable to open file is corrupt". I've tried downloading it twice (the 1024x600 file). Do you still have the file you used? Do you simply put the .img in the root folder of a USB flash drive or do you have to extract the contents of the .img file? Because I've tried updating the HU using the .img file but the HU doesn't recognize it. I also had installed such head unit, the name of mine is Smarty Trend. Hey guys, bit of a problem here. I upgraded to the newest unit (7.1.2, T8 processor) when my original one got buggy. Tried to upgrade to RedMod and got stuck at this screen. Anybody know how to fix this? Thanks in advance! Interlukens 1-2015 Mazda 6 Touring, MTX. Mods- H&R Sport Springs, Smart Rover Android HU, LED interior and reverse lights, LED ambient lighting. Cannot help you with that one, The unit in here is the Allwinner R16 which only goes to Android 6. Try the redmod forum for help on this or email Karog directly for help on this.. suggest emailing Karog if you paid for the mod.